New Delhi, Oct 24 (IANS) Prime Minister Narendra Modi on Tuesday greeted the Indo-Tibetan Border Police on its raising day, saying it has special affinity with the Himalayas and prowess at high altitude operations. “Greetings to ITBP family on their Raising Day. 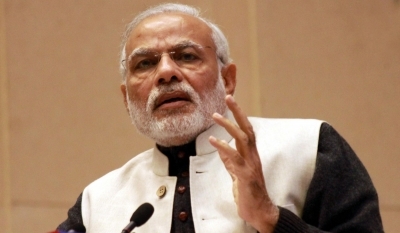 The Force has distinguished itself through its bravery and humanitarian ethos,” Modi said in a tweet. The ITBP was raised on October 24, 1962, and is presently deployed on border guarding duties from Karakoram Pass in Ladakh to Jachep La in Arunachal Pradesh, covering 3,488 km of the India-China border.